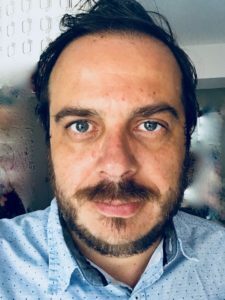 Clients, colleagues and friends, thank you for helping us maintain the highest legal practice standards in the entertainment sector. 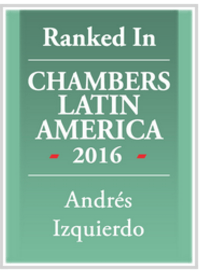 Chambers & Partners identifies the leading consultants around the world. 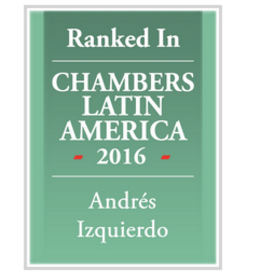 Andrés Izquierdo classified in the best for the area of “Intellectual Property ” in the Chambers Latin America Guide 2016.